Join Brian Kelly, The Points Guy, as he sits down with people who are changing the way we travel. Each week, you’ll get exclusive interviews from Brian with top executives in the travel industry, influencers and TPG staff. Hear insights and glean tips into your favorite loyalty programs, pick up on the latest travel trends and become a smarter and more in-tune traveler along the way. JetBlue's President and COO, Joanna Geraghty, details plans to expand routes to the UK. She also explains what it was like to work her way up through the company, shares advice for women in aviation, and why she thinks customers love the Mint product. Mary Hines, Citi's managing director for customer engagement and innovation, shares proprietary research behind what drives consumer loyalty, explains how customers will have more options to pay with points via PayPal in June and why Citi cards are great for everyday spend. CEO and founder of Scott's Cheap Flights, Scott Keyes, tells us how he started his company, shares some of the best mistake fares he's ever booked and updates us on what members can expect in the future. On this special episode of "Talking Points," host Brian Kelly, The Points Guy, leads a panel with the Virgin Group to hear what you can expect from Virgin Voyages. On this episode of "Talking Points," Autoslash CEO Jonathan Weinberg talks about the ins and outs of car rentals. Weinberg explains how AutoSlash saves consumers thousands of dollars on car rentals each year, warns about costly fees to watch out for, and compares the top rental companies. On this episode of "Talking Points," host Brian Kelly, The Points Guy, brings on the New York Times bestselling author of "I Will Teach You to Be Rich," Ramit Sethi. Sethi shares personal finance wisdom on how to earn more in the long term without having to cut back on what you love. He also shares his experience traveling through India and Thailand, and offers advice for first-time travelers to India. 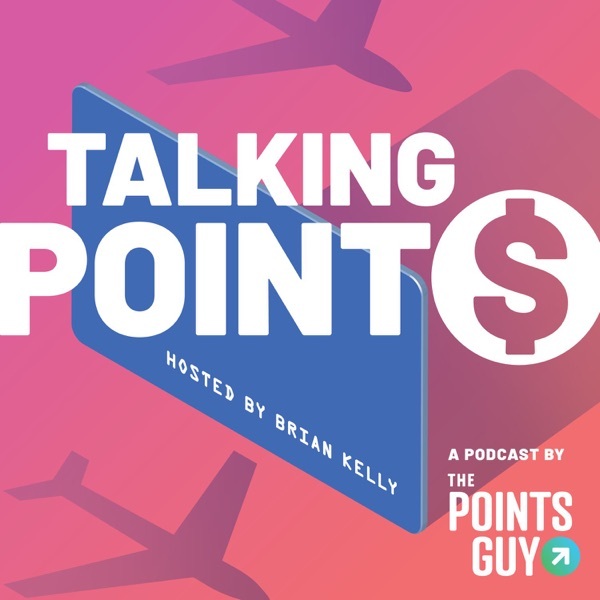 On this episode of Talking Points, host Brian Kelly, The Points Guy, learns quite a bit about timeshares from Wyndham Destinations' chief brand officer, Noah Brodsky, and TPG contributor Ed Pizzarello. Brodksy shares Wyndham's perspective on investing in their properties, the difference between hotel stays and timeshare stays and why timeshares are great for millennial families. Pizzarello is a timeshare owner; he debunks the myths, breaks down the fees and explains how the resell market works. On this episode of Talking Points, host Brian Kelly, aka The Points Guy, brings on the CEO of CLEAR, Caryn Seidman-Becker. Seidman-Becker shares CLEAR's plans to expand to more stadiums and airports, talks about the importance of biometric technology and breaks down membership pricing. On this episode of "Talking Points," host Brian Kelly, aka The Points Guy, and Linda Jojo, United Airlines' technology and chief digital officer, break down what passengers can expect from the carrier's updated app. Afterward, Kelly brings on TPG editor-at-large and United 1K member Zach Honig to talk about finding award availability and upgrades, and the state of the airline's lounges. On this special Talking Points episode, host Brian Kelly, The Points Guy, sits down with comedian Claudia Oshry. You might recognize her by her hilarious meme account @girlwithnojob on Instagram. Oshry shares her travel pet peeves, the cards she loves and why she thinks LaGuardia (LGA) is the best airport ever. On this episode of Talking Points, Host Brian Kelly, The Points Guy, talks to Amy Weinberg, the senior vice president of the World of Hyatt program, to find out what members can expect in 2019, like more Small Luxury Hotel properties and more digital interaction. Afterward, TPG's senior points and miles editor, Nick Ewen, explains the best ways to earn, redeem and find value as a World of Hyatt loyalist. Today we bring you a first look at our new podcast launching in January hosted by TPG's Editor-at-Large Zach Honig. TPG sits down with Citi's Global Consumer CMO Jennifer Breithaupt and country star Luke Bryan to show you some of the experiences you can access just by being a cardholder. After, TPG’s Associate News Editor Brendan Dorsey explains how to earn, redeem and find value using Citi ThankYou Points, and the changes coming to the Citi Prestige card. On this special episode of Talking Points, TPG sits down with travel expert Lee Abbamonte, aka the youngest person to travel to every country in the world — plus the North and South Pole. Abbamonte shares his story, travel tips and advice to those looking to do the same. You can learn more about Abbamonte's travels at leeabbamonte.com. Hilton's senior vice president and global head of customer engagement, loyalty and partnerships, Mark Weinstein, tells The Points Guy about what you can expect from Hilton stays in the future and what it's like being an Honors loyalist. After, TPG senior writer Darren Murph explains the best ways to redeem points at Hilton properties and earn elite status. TPG sits down with Virgin Group founder, philanthropist and "doctor of yes" Richard Branson to find out what you can expect from Virgin in the coming months, like Virgin Fest and Virgin Voyages. Afterward, TPG points-and-miles expert Richard Kerr reveals insane redemptions using Flying Club miles and a must-visit destination. Kristin Lemkau, chief marketing officer at JPMorgan Chase, tells The Points Guy about the marketing and evolution of the Chase Sapphire products and what customers can expect from Sapphire lounges. Afterward, Sarah Silbert, TPG's senior credit cards editor, breaks down Chase Ultimate Rewards, transfer partners and booking through the Chase Travel Portal. On this episode of Talking Points, Brian Kelly sits down with Matt Knise, Capital One's Business Analysis and Product Management Director and Julian Kheel, TPG's Editorial Director. Knise reveals some game-changing news and a special offer on TPG that you won’t see available on any other partner site. Later, Kheel and Kelly discuss what this news means for Capital One card holders. Get ready to hear from The Points Guy, Brian Kelly, every Tuesday as he sits down with CEOs, CMOs and executives from the top loyalty programs and credit card companies. You'll also get insight from TPG editors and writers to find out how you too can travel the world for a fraction of the cost.